What Kind of Home Safe Do I Need? Will My Raised Floor Support a Safe? 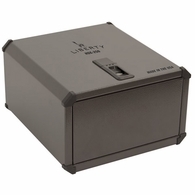 Looking for a sleek looking rifle safe that will store up to 16 long guns and open with your fingerprint? This is exactly what our friends over at Barska were thinking when the developed the Extra Large Biometric Rifle Safe. 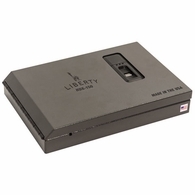 It's the largest biometric safe to date and allows you to keep items securely and quickly accessible with a scan of your fingerprint. Access to your valuables is as easy as pushing the power button, scanning your fingerprint and a quick turn of the handle. No longer will you need to search for your keys or have to remember complex numerical key combinations. 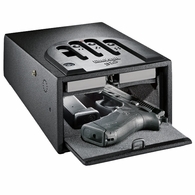 The safe also comes with two backup emergency keys. 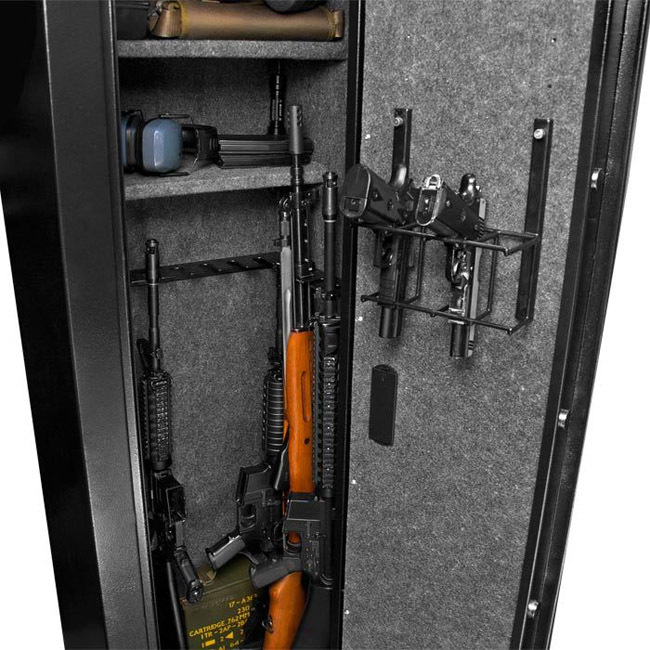 With a removable 16 position gun rack and 3 removable shelves, you can configure this safe to meet any of your needs, whether storing guns, jewelry or other important valuables. 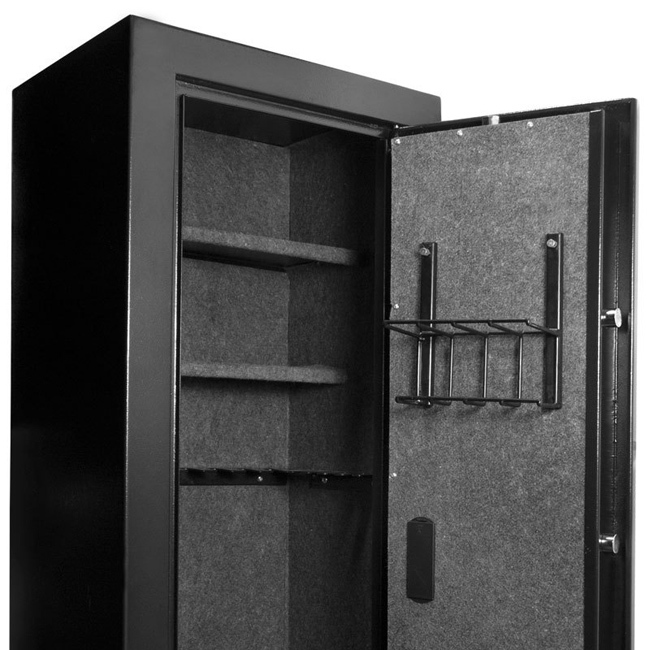 The interior of the safe is fully lined with a soft felt material to protect guns and valuables from scratches. The safe features a 5 point deadbolt locking system and the body and door are solid steel construction. 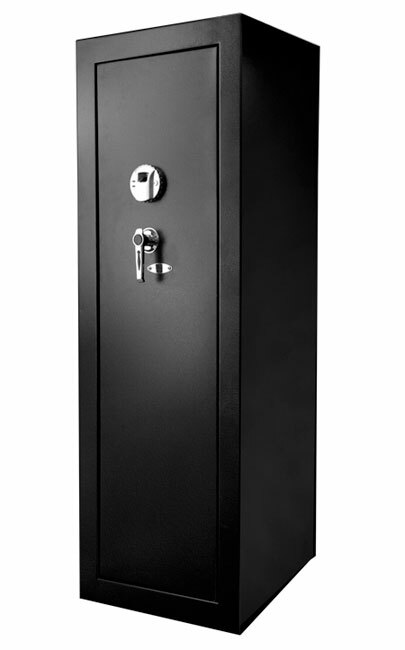 For added security this safe is manufactured with six mounting points at the back of the safe and mounting hardware is included to attach the safe to a wall, the floor or solid flat surface. 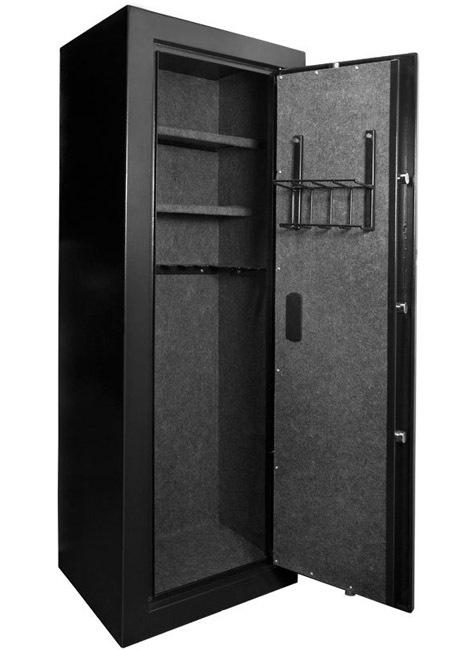 This model in particular the AX11780 weighs 139 pounds and can store 120 fingerprints. *Barska stands behind the quality of their products by offering a one year warranty.